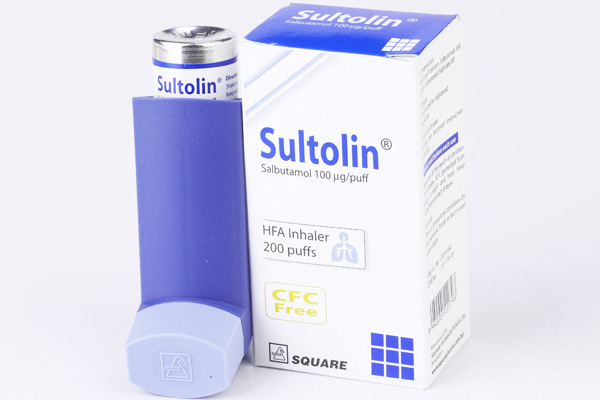 Salbutamol HFA Inhaler is indicated for the treatment or prevention of bronchospasm in adults and children 4 years of age and older with reversible obstructive airway disease and for the prevention of exercise-induced bronchospasm in patients 4 years of age and older. For treatment of acute episodes of bronchospasm or prevention of asthmatic symptoms, the usual dosage for adults and children 4 years of age and older is 2 inhalations repeated every 4 to 6 hours; in some patients , 1 inhalation every 4 hours may be sufficient. More frequent administration or a larger number of inhalations is not recommended. Exercise-Induced Bronchospasm Prevention: The usual dosage for adults and children 4 years and older is 2 inhalations 15 to 30 minutes before exercise.